I *SO* Need This RIGHT NOW! 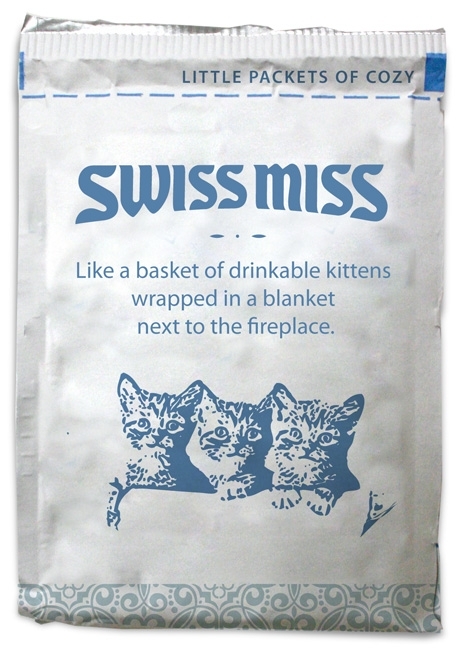 Seriously, A BASKET OF DRINKABLE KITTENS??? While I suppose it could have been worded a wee bit better, I still get the gist of it, that it is supposed to make you feel all warm and fuzzy like snuggling with a basket of kittens by the fire. ﻿With so much stress going on in our household lately, I really do need to have a day where there is nothing but warm fuzzies like this.